"February made me shiver, with every paper I delivered..." sung Don Maclean in American Pie.. But it didn't for us.. why not?? Because we've been far to busy to get cold! While we've been hard at it finishing off the CD, approving artwork, mixes and the like, we've also been attending Open Mics and generally getting ourselves out there a bit, working on new projects with other people and just generally staying out of mischief! 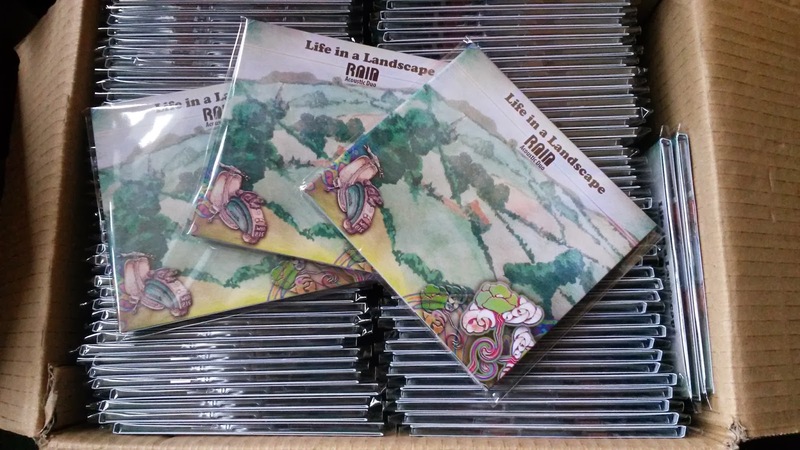 Yes.. that's right, our first album 'Life in a Landscape' is now available.. We're so excited to be able to bring this to you as a completed 'thing', its been a long time in the making as we have spent a fair amount of time working on this throughout 2013/14, taking songs from their raw acoustic form and bringing a full musical vista to you. 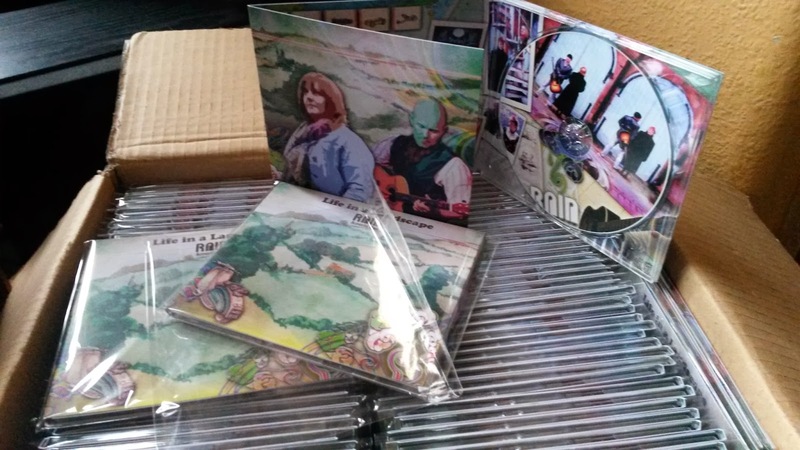 Its had blood, sweat and tears poured into it.. all we hope is that you like it. We'd like to thank so many people for taking part in this.. I think we may do a separate piece on that. Anyway, there you go.. the CD is out now!! We sidled over to Tean and played The White Hart.. once more a lovely welcome from a fantastic venue, landlord and crowd. Its a joy to play The White Hart as Andy, the landlord, is a real music lover, as are his clientele.. which shows in their appreciation. The evening started sedately enough, there was a birthday party in the function room, with disco,etc, so most of the folk were up there. However, during our second set the place livened up with the party moving downstairs and the singing of Happy Birthday to one of the regulars.. (done in a blues style.. just cos we can!) Encore followed encore, as we feared that we wouldn't be allowed to leave.. all in good fun though. The White Hart is definately a good place to check out anyway, with a great menu, real ales and a warm and friendly atmosphere. We're also going to be rehearsing some new covers for the set.. We've had a few requests and rather than say.. 'nah'.. we're going to give them a go and smother them in a bit of Rain magic.